At your service for more than 25 years, by responding to the most demanding requests, our studio is specialized in the conservation of modern and contemporary art. 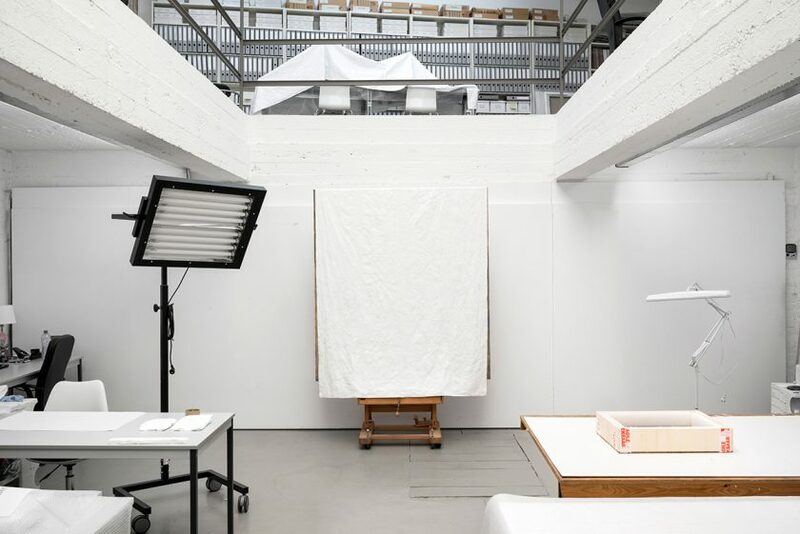 The Nicolas Lemmens Studio is a conservation studio, specializing in modern and contemporary art for more than 25 years. We comply fully with the recommendations of the European Confederation of Conservators – Restorers’ Organisations (E.C.C.O.). We are also a member of the International Network for the Conservation of Contemporary Art (INCCA) and the Association of Registrars and Collections Specialists (ARCS). Advice and guidance on preventive conservation for collections. The studio and its extensive network of service providers look after every detail from transport and framing to insurance arrangements. The studio can thus meet the most demanding requests from customers such as museums, galleries, private collections or artists’ workshops. Contemporary art practice has progressively blurred the boundaries of traditional generic divisions. Today, extraordinary mixtures of media and supports are common to many works of art, putting the traditionally trained conservator under unprecedented pressure. Responding to the hybrid nature of contemporary art, the Nicolas Lemmens Studio developed a unique multidisciplinary approach – our conservators come from different areas of expertise, such as sculpture, painting, plastic objects, glass, ceramics or time based media conservation, yet the team works as a single unit, capable of responding to the conservation needs of the most eclectic artifact.